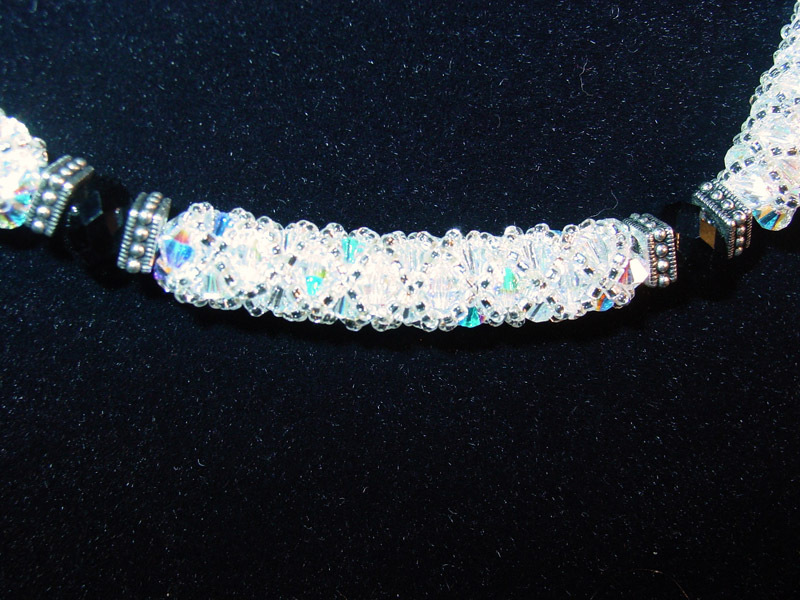 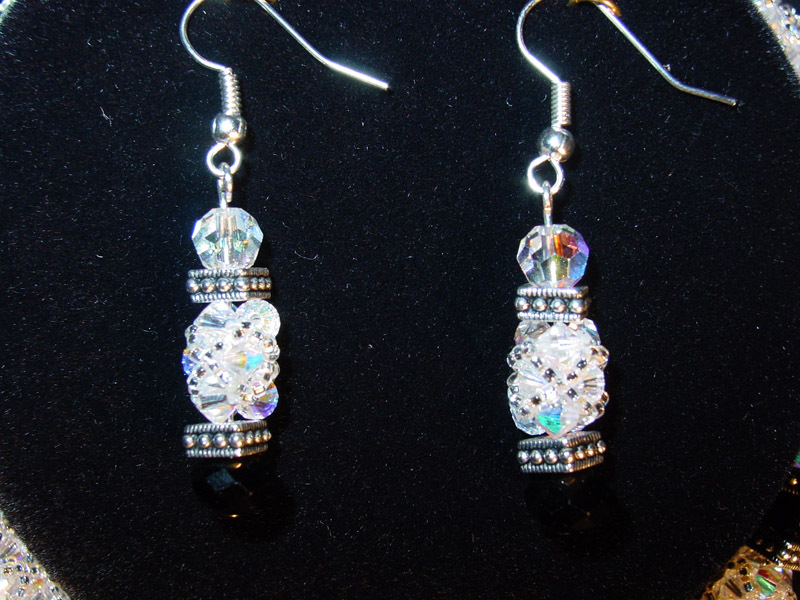 Each custom jewelry set contains about 460 Swarovski Crystals. 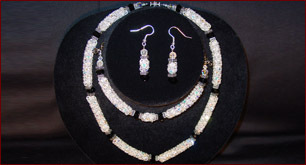 These necklaces, earrings and bracelets are individually hand crafted for the discerning client who wishes to be noticed with a touch of class. 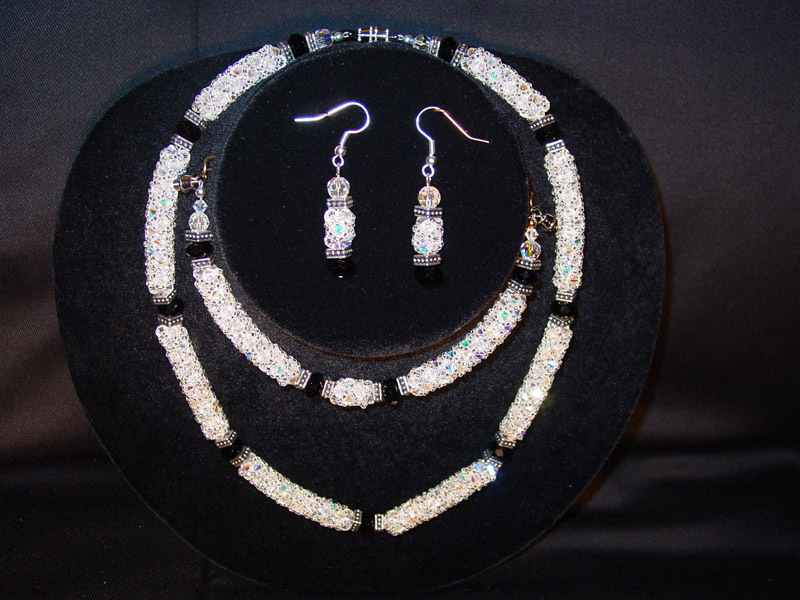 These unique and fashionable Swarovski sets are made to order and come in a variety of colors and tones to blend in with your very own taste.